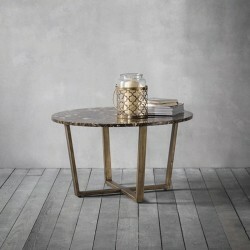 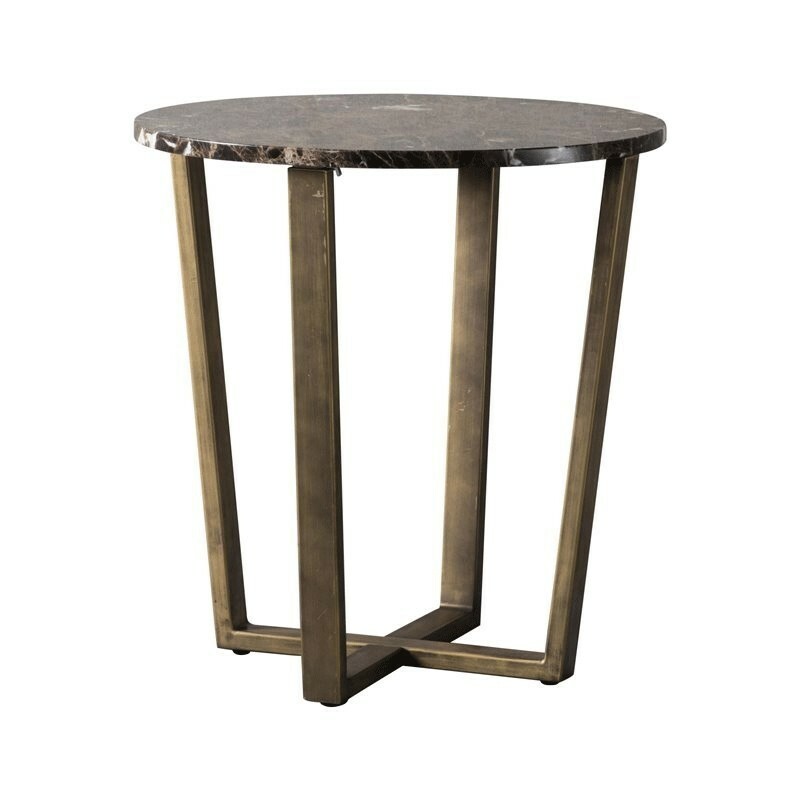 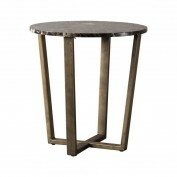 Featuring a brushed-brass frame and a beautiful brown marble table-top, the Emperor round side table would add luxury to any living area. 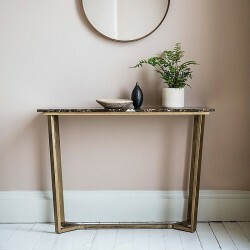 Perfect when flanking a sofa or armchair, or by a bed, this compact piece has a simple yet elegant profile that complements the gorgeous patina of the marble. 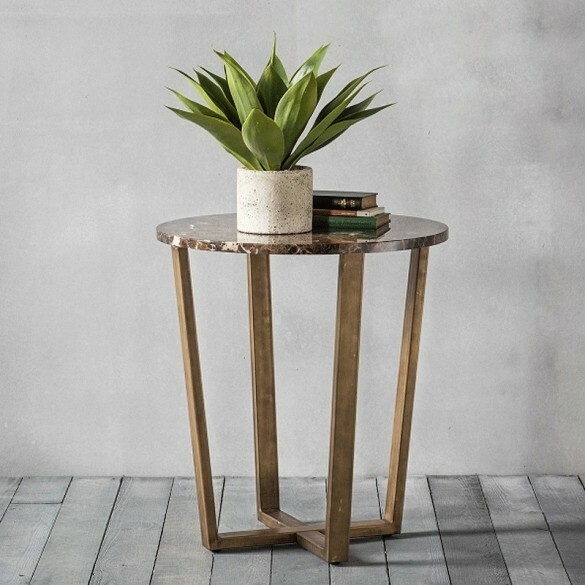 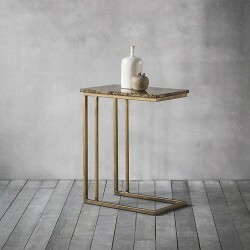 The mid-century, almost Deco inspired design gives this side table a timeless appeal that sits well in the contemporary home.